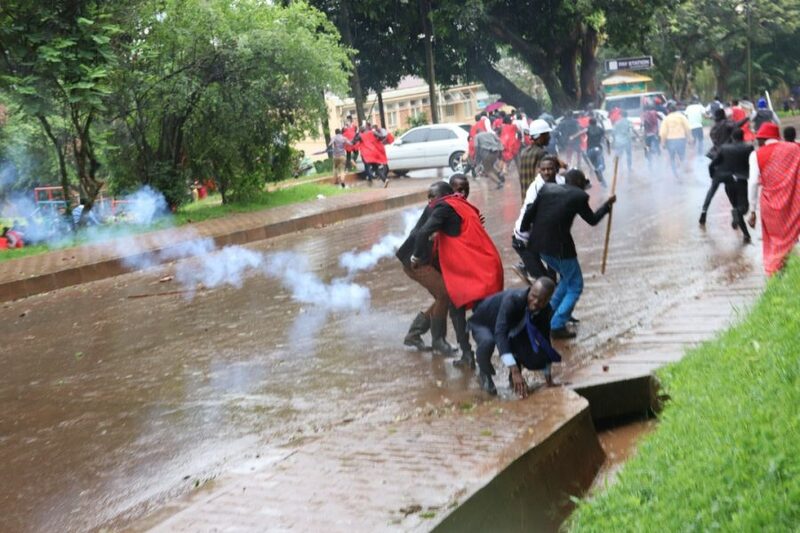 Police spent the biggest part of Monday morning involved in running battles with Makerere University students who were demonstrating over the decision by the university to scrap student meals in halls of residence. Recently, the Makerere Vice Chancellor Prof Barnabas Nawangwe announced that university will cease to provide meals for students. Students will instead receive a food allowance to buy their meals wherever they please. Nawange defended the university’s decision as a response to complaints from students of the poor quality of meals the university provides. On Monday, students led by their guild president Papa Were Salim organized themselves before blocking roads leading to halls of residence as they demonstrated against the decisions by the university management. Guild President Papa Salim Were was among those arrested. “They are talking of giving us shs4000 but that is not enough to feed any individual,” Salim told journalists. A total of 2000 students stay in Makerere’s halls of residence. Makerere University Council recently resolved that all new students starting with the forthcoming academic Year 2018/19 would only be admitted to study on either the day programme ( 8:00am to 5:00pm) or the afternoon programme (2:00pm to 6:00pm) scrapping evening lectures. Evening lectures run from 5:00pm to 10:00pm. The students on Monday accused the vice chancellor’s leadership of introducing ‘bad’ policies including the decision to scrap evening lecturers from the university. The students also said they would not rest until the issue of sexual harassment by lecturers to students is solved at the university. 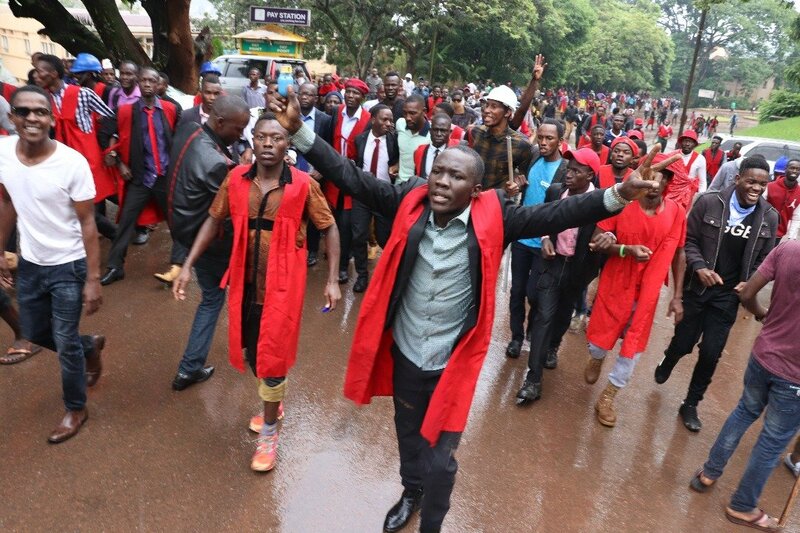 The Makerere University public relations officer, Ritah Namisango however asked the students to remain calm and prepare for the forthcoming exams later this month. “There is room for dialogue and we shall continue engaging them to address most of these issues because going on strike will not solve anything,” Namisango told the Nile Post in an interview. 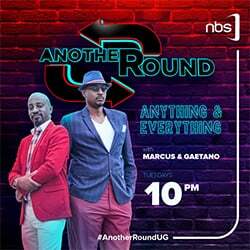 Asked specifically on the issue of food in halls of residence, the Makerere University mouthpiece said she could not address herself on the same because the matter is before parliament. “The Vice Chancellor will meet the students’ leaders as soon as he returns from Nairobi but we urge them to remain calm because we are committed to solving their problems,” Namisango said. Police was engaged in hide and seek games with students at the university as the demonstration went on. 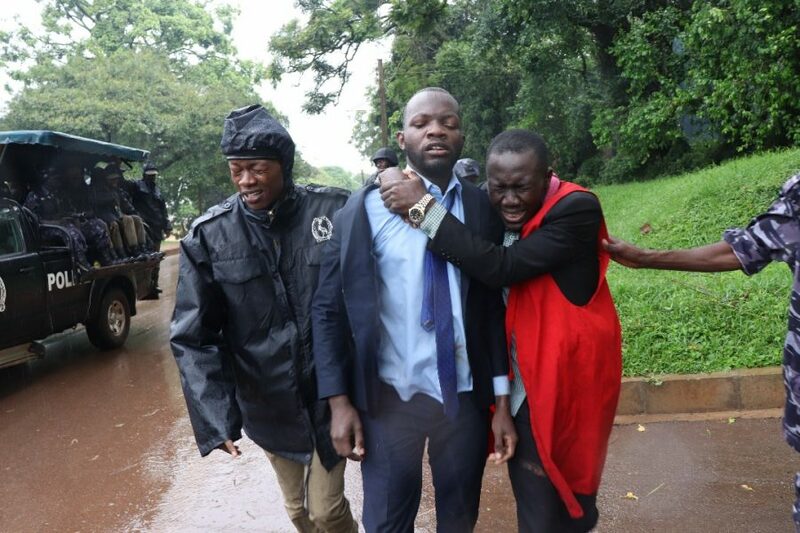 The students hurled stones at police officers and in return, the police bathed them with teargas in a bid to contain the situation before arresting some of the demonstrators led by their guild president Papa Were Salim. Kampala Metropolitan Area police spokesperson Luke Owoyesigyire confirmed 15 students had been arrested and detained at Wandegeya police station and Makerere university police post. “They will be charged with inciting violence and unlawful processions,”Owoyesigyire told the Nile Post.